This is a hard hitting crime drama, with a distinctive feminine touch. 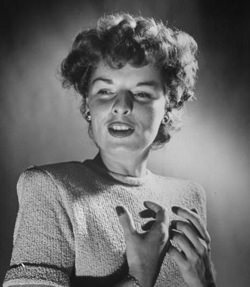 Defense Attorney Martha Ellis Bryant,brilliantly played by Miss Mercedes MacCambridge, has sworn to defend the defenseless. Her clients are all up against hard time, or even the electric chair. But attorney Marty, with her reporter boyfriend Jud Barnes, will stop at nothing to find the real guilty party. And with Marty Ellis brains and daring, they find him every time. 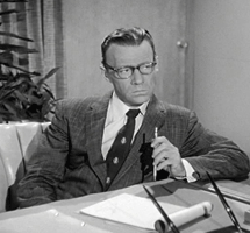 Attorney Marty's love interest, reporter Jud Barnes, is played by another radio veteran, Howard Culver, announcer for Chandu the Magician, star of Straight Arrow, and had been the last actor to star in The Adventures of Ellery Queen. Be the first to comment on "Defense Attorney"